This delicious all-natural raw honey is a perfect spread on your favorite foods! 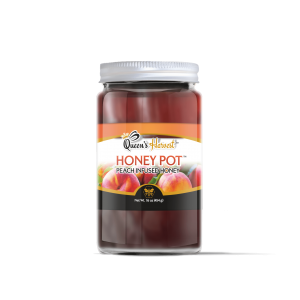 Excellent on fruit, cheese, meat, salad and bread, this gourmet honey turns ordinary foods into a memorable experience. Take your pick from fresh cinnamon, vanilla and wonderful Georgia Peach. We’ve stocked each one pound cinnamon jar with raw cinnamon sticks while including fresh raw vanilla beans with each jar of vanilla-infused honey. Enjoy Infused Honey as part of your daily diet.